B&W image of a young student sitting at Teletypewriter. 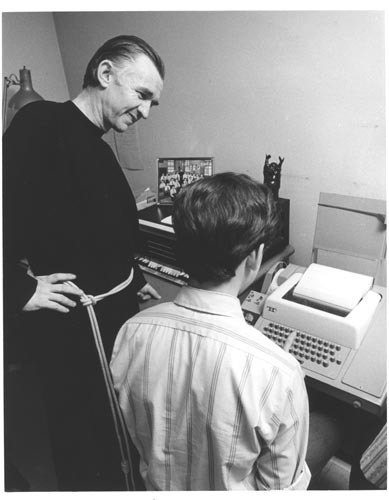 A priest is standing to his right observing his printer output. In the background is a PDP computer with a class picture on top.